Photo taken by Jack Flack, South Australia. The viceroy butterfly appears similar in colour and pattern, but is markedly smaller and has an extra black stripe across the hind wing. The eastern North American monarch population is notable for its annual southward late-summer/autumn migration from the United States and southern Canada to Mexico. During the fall migration, it covers thousands of miles, with a corresponding multi-generational return North. 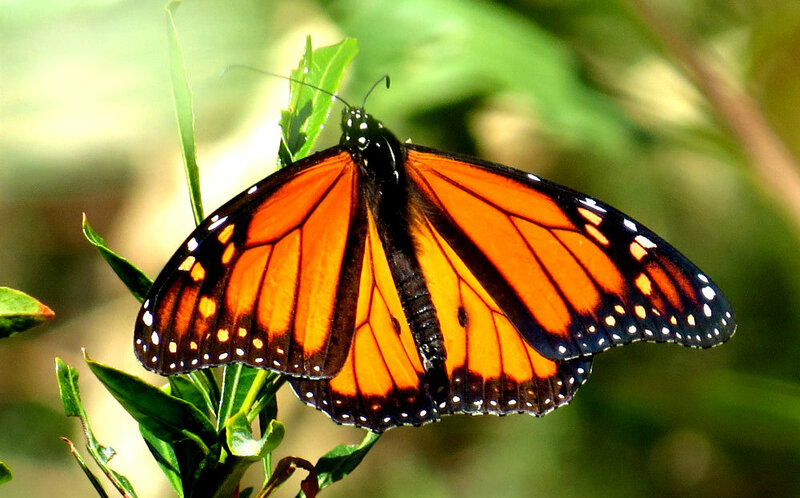 The western North American population of monarchs west of the Rocky Mountains most often migrate to sites in California but have been found in overwintering Mexico sites Monarchs were transported to the International Space Station and were bred there. ← Hollywood Women, Los Angeles.